The North Island is very fortunate to be able to count Ben Leeson among its pioneers. Many of the early photographs of this area, and most early photographs which are readily accessible today from the Quatsino Sound area were taken by Leeson in the late 1800s and early 1900s. Leeson was born in Coventry, Warwickshire, England in 1866. 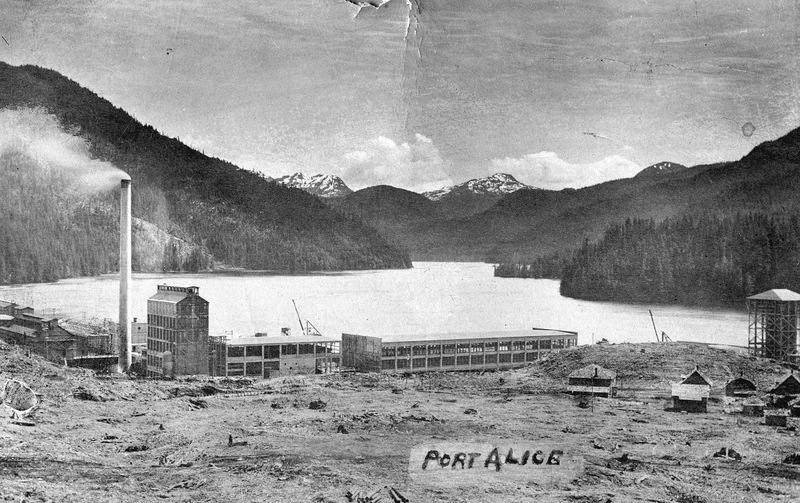 His family emigrated to North America in 1875, and moved to Vancouver in 1886 (briefly moving to Williams Lake). Leeson was given a camera for his twenty-first birthday, and he became an avid photographer. He took many photographs of the BC gold rush. Unfortunately the family business, a side-wheeler paddleboat grist mill, Transient Mills, was destroyed in a fire in 1891. 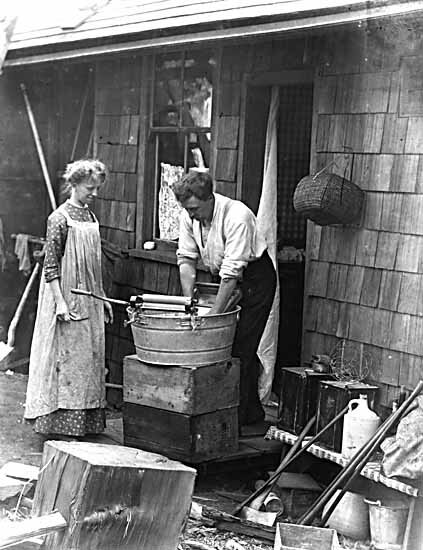 Many of Leeson’s photos and almost all of his glass negatives were lost. The family moved to Winter Harbour in Quatsino Sound in the 1890s, where Leeson’s father operated a store and later a cannery. In 1894 Ben Leeson purchased a new camera. 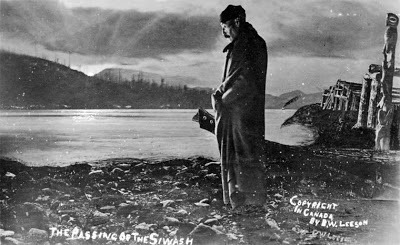 While working with his father at their store, and later operating their clam cannery, he took hundreds of photographs in the Quatsino Sound area. He sold many of his photos and had numerous photographs registered under federal copyright protection. When steamships came into the Sound, Leeson and his family would offer his local photographs for sale to the passengers. Leeson photographed industrial activities, First Nations, and the natural surroundings. He experimented with artwork in which he merged or combined images in order to get certain special effects. He also hand-coloured many of his prints. 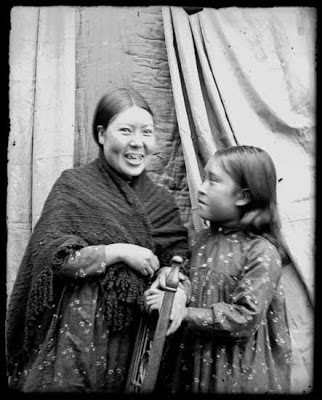 Many of his photos provide evidence of the tradition of head-binding among women in theQuatsino First Nations. Much of Leeson’s collection has ended up at the Vancouver Public Library. Leeson also published an article entitled “A Quatsino Legend” in the Canadian Geographical Journal. The Quatsino and Port Hardy Museums are interested in raising funds to bring a collection ofLeeson’s photographs home to the North Island. If you are interested in helping the North Island obtain high quality scans of approximately 50 of these very special photographs please contact me at storeysbeach@gmail.com.